Like any other kind of social media marketing, messaging is all about building relationships and offering engaging, relevant content to rise above the noise. Billions of people worldwide use apps like Facebook Messenger, WeChat and Snapchat to connect, with new users logging on every day. Even more so than other iterations of social media, messaging is all about relationships. Global trends indicate that messaging is poised to take over—usurping email and call centers, playing a crucial role in retail commerce and changing the way we play. Below are five strategies businesses should implement to increase brand loyalty through social messaging. Why messaging? Anyone who’s not on messaging right now is about to be. 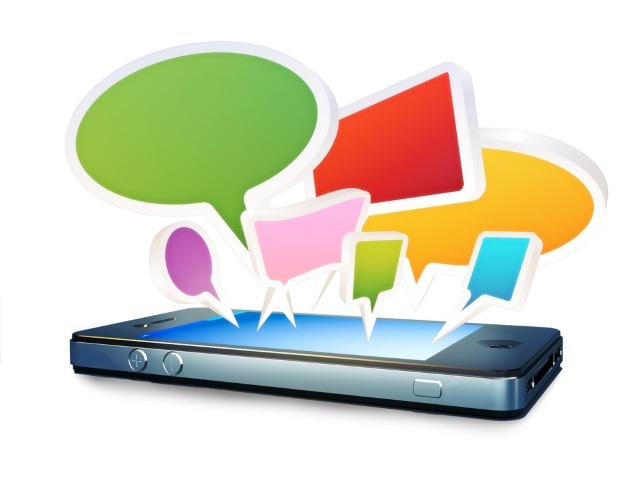 Some sources say 40 percent of mobile subscribers in the U.S. alone use messaging applications monthly. Globally, the numbers are estimated much higher, thanks to countries like China, which skipped Web 1.0 and where everything is done on mobile. The most popular social messaging apps boast hundreds of millions of monthly active users: Messenger sees 800 million, and WeChat, a favorite in China, 650 million. But making the most of messaging means more than quick replies to customer complaints (although that’s a crucial aspect). Like any other kind of social media marketing, messaging is all about building relationships and offering engaging, relevant content to rise above the noise and keep customers’ attention. What sets messaging apart is its media-driven power to make immediate impacts, fuel hyper-personalized interactions and enhance customer experiences by blurring boundaries between the physical and digital realms. Messaging is about to change the world: Which brands will reap the rewards? While it’s useful that Messenger (for example) offers canned replies for brands, it’s important to humanize chat—especially when a customer is already unhappy. Copy-and-paste replies do little to assuage annoyance, and they can often increase ire. Your company works hard to build your brand’s unique personality and strengthen its reputation; it’s critical to carry these attributes through every expressive aspect, not the least of which are messaging app interactions. Don’t risk destroying a carefully constructed brand through overuse of canned copy or by regurgitating scripted marketing-speak—anything brand reps post to messaging apps will live forever on customers’ smartphones. You can convert unhappy customers to brand advocates if complaints are handled swiftly and thoroughly. For decades, customers have dreaded the limited hours and interminable wait times that come with calling 800 numbers, and call centers’ high staffing costs mean that businesses don’t feel much better about fielding concerns over the phone. Social messaging apps not only give customers 24/7/365, almost instant access to service representatives—who can now efficiently handle multiple conversations at once—but also have the power to create more of a real-time impact than a call ever could. Messaging is more connected than texting or earlier versions of chat programs; it’s an integral part of a media-rich app ecosystem where everything from photos and videos to links, live-help and e-commerce can be performed with the tap of a touchscreen. Just remember that real-time means your brand handles requests right then and there; don’t redirect customers to your company’s website, an email address or that aforementioned 800 number. If follow-up is needed, it’s your brand reps’ responsibility, not your customers’. Customers complain @yourbrand on Twitter or post to your Facebook page to get immediate attention, but most want to discuss details in private. Twitter recently released a feature that allows businesses to embed a direct message link in public tweets. Facebook’s feature that allows brands to reply in a direct message to a customer page post is another way messaging facilitates seamless moves between public and private spaces. Consider taking it a step further by sharing a story that went private back in public (with permission, of course) by filling the behind-the-scenes blanks in so everyone can see how your brand addresses issues. Be personal, don’t just personalize. Treat everyone like friends and family. Listen to customers, acknowledge their emotions and understand the context for their concerns. Software tools will soon make it even easier to engage on this level. A running record of conversations can help your brand connect personally about the things customers really care about.